The near-demise of MoviePass may have already yielded an unexpected fringe benefit for theatre operators — the wake-up call it needed to re-think how to get people back into their cushioned recliner seats. The idea of launching a subscription movie service in the U.S. has long been tossed around by the theatre exhibitors as a way to increase theatre traffic and mitigate attendance headwinds. However, MoviePass beat theatre operators to the punch by launching its new pricing plan in August. MoviePass has roughly 2 million subscribers as of February 2018, an incredible ramp since the service dropped its price to $9.95 a month (the price of a Netflix subscription) back in August 2017 and down from roughly $50 a month previously offered for unlimited movies in the most expensive cities. MoviePass allows its subscribers to see a movie a day for a low monthly fee regardless of location, with its primary target being the younger and more frequent moviegoer. Frequent moviegoers, those who see one movie per month at theatres, accounted for 49% of tickets sold in 2017 and have significant influence over box office results. The appeal for the MoviePass service is obvious — take the risk out of movie attendance and people will see more movies even if they aren’t of the best quality. Subscribers can see the well-received blockbusters and smaller independent films at no incremental cost. The movie exhibition industry, particularly in the U.S., is becoming marginalized by streaming players and the increase of good TV content — leaving it increasing reliant on ‘tent-pole’ or big budget franchise films to drive audience attendance. The net result is more volatile box office performance, with each month relying heavily on the quality and performance of these individual franchise films instead of across a broader slate of film offerings. This pattern was evident in 2017 when box office performance was materially impacted by some tired franchise films, including the fifth installments of “Pirates of the Caribbean” and “Transformers”. In September 2017, the strong box office performance of Stephen King’s “It” accounted for 41% of the month’s gross domestic box office receipts. Total 2017 domestic box office receipts of $11.1 billion declined 2.7% year-over-year, less of a decline than originally anticipated and saved by a strong holiday release schedule after a disastrous summer film slate. Attendance declined by 6.2%, but was offset by 3.7% increase in average ticket prices. These lackluster results reignited concerns over the potential for a more protracted secular decline in the theatre exhibition industry. 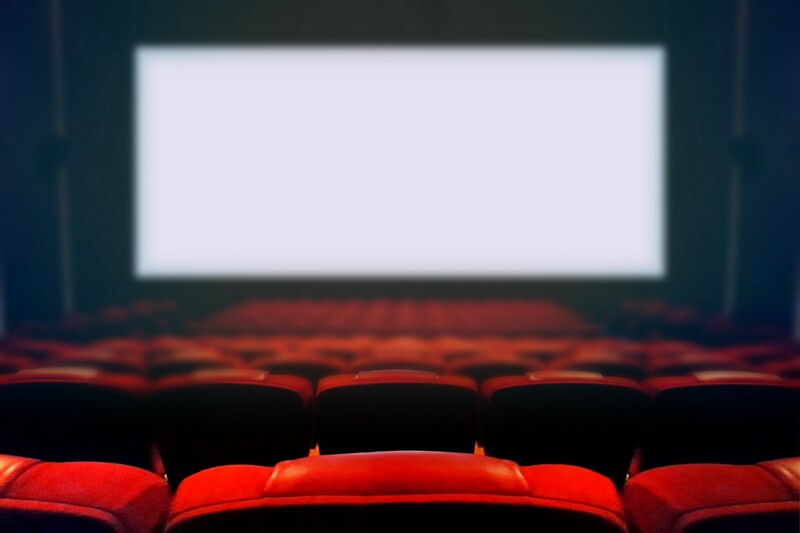 Theatre attendance has steadily declined since reaching a peak in 2002 and the theatre exhibitors have sought to offset declines in theatre attendance with higher ticket prices validated through a ‘premium’ experience which offers enhanced seating (recliners) and expanded concession offerings. The introduction of premium theatre amenities has increased the revenue per attendee (higher ticket prices and concession spending) and attendance levels at upgraded theatres. However, theatre attendance tends to underperform in non-upgraded theatres. Larger movie exhibitors like AMC, Regal (now owned by Cineworld) and Cinemark have accelerated re-seating efforts and are targeting luxury recliner upgrades for roughly 40–60% of their domestic circuits. 2018 is bringing some much-needed relief for the exhibitors with better film product. There are already some stronger box office numbers in 2018 thanks to Disney’s “Black Panther” bringing in $697 million in domestic box office ($1.3 billion including international) and “Avengers: Infinity War” bringing in $558 million in domestic box office ($1.1 billion including international) per Box Office Mojo. The film slate for the summer is crowded with noteworthy titles including “Star Wars: Han Solo”, “Jurassic World 2: Fallen Kingdom” and “The Incredibles 2”. However concerns remain over the long-term secular decline in attendance particularly as theatre upgrades are not seemingly doing enough to boost industry-wide domestic attendance levels. Subscription services like MoviePass will not have a near-term economic impact on the theatre exhibitors (since it pays full ticket price for each movie a subscriber sees) and is in fact driving theatre attendance higher. That said, there is a potential for the service to disrupt or erode pricing power over the longer-term by getting moviegoers accustomed to a ‘binge’ model and pressuring the exhibitors to launch competing offerings. Notably, Cinemark launched ‘Cinemark Movie Club’ late in 2017 in response. Cinemark’s service charges $8.95 per month for one movie, and includes discounts to concessions, the ability to roll-over unused tickets and the option to upgrade to premium format for a small fee. The service currently has 230,000 subscribers and ‘Cinemark Movie Club’ subscribers accounted for 5% of Cinemark’s ticket sales in April. AMC has publicly commented that it is contemplating its own subscriptions service offering, but no firm details have been released to date. In contrast, Regal has started experimenting with dynamic ticket pricing — charging more for hit movies and less for unpopular ones. Other demand pricing strategies that are being explored by exhibitors include introducing surcharges for weekend movie tickets and offering lower pricing for low traffic days and non-upgraded theatres. MoviePass is in danger of becoming extinct. The service is running out of cash and could run out of funding over the next two months without an additional capital raise (per SEC filings). MoviePass’ price point has been touted as unsustainable and largely is — the service can lose money on each movie a subscriber sees. The loss is exacerbated by the preponderance of subscribers in urban areas where the average ticket price is roughly $17 well above the average ticket price of $8.97 and MoviePass’ $9.95 monthly fee. Thus far, 30% of MoviePass subscribers are located in Los Angeles, New York and San Francisco. Theatre chain AMC stated on its most recent Q1’18 earning call that on average MoviePass paid AMC $12 per ticket on hundreds of thousands of tickets each month and each MoviePass subscriber saw 2.7 movies per month on average at AMC theatres through March and April. On a per subscriber basis, MoviePass is receiving $9.95 and paying AMC roughly $32 per subscriber per month. MoviePass is taking proactive steps to stop its cash hemorrhage. An investment firm — Helios and Matheson Analytics Inc. acquired a majority stake in MoviePass in December 2017 and has conducted capital raises to boost liquidity and fund its operating losses. In April 2018, Helios and Matheson filed a prospectus supplement to issue up to $150 million in incremental equity to fund the MoviePass business. The company had just $42 million in balance sheet cash at March 31, 2018, and believes this cash and net proceeds from the offering will be enough to run the MoviePass through June. MoviePass’ average cash deficit has been roughly $20 million per month from September 2017 to March 2018. In our view, MoviePass is playing the scale game in hopes of achieving enough subscribers to have negotiating leverage with the theatre exhibitors (proving through data that the service is increasing movie attendance) for lower ticket prices for MoviePass subscribers or some piece of concession sales. MoviePass has commented that its two million subscribers accounted for 6% of all domestic tickets. Additionally, the company is targeting five million subscribers by 2019 that it expects will buy roughly 20% of all domestic tickets. Evidence of this strategy surfaced back in January when MoviePass refused to cover 10 of AMC’s busiest theatres including locations in Los Angeles, San Francisco, Boston and New York City. MoviePass was seeking a $3 cut on AMC tickets plus 20% of concessions given the foot traffic it provides AMC (estimated at $2 million per week per press reports). In April, MoviePass added these theatres back to its app. An agreement was negotiated between the two parties although the terms were not disclosed. MoviePass also signed an exhibition agreement with Landmark Theatres, which operates 53 theatres and focuses in independent films in March 2018. MoviePass also offers other opportunities to expand revenue per subscriber, through use of its data for targeted advertising opportunities. Although these efforts have yet to generate any meaningful revenue streams. While MoviePass may soon be airing its proverbial end credits, one could argue that MoviePass has already changed consumers’ perception of the value or price point of movie tickets. A big reason for MoviePass’ success is its ability to be agnostic to which theatre chain a subscriber visits. And though MoviePass may soon become extinct as a service, it’s clear that the theatre circuits will need to continue to evolve and play with different pricing models, whether their own subscription service or demand pricing models to drive theatre attendance over the long-term.